Feeding a crowd on a budget can be such a challenge! It can also be a challenge to find a menu that will please a lot of people. Hawaiian Haystacks have long been a popular buffet style meal that is suitable for a family reunion, luncheon, or any gathering you need to feed! 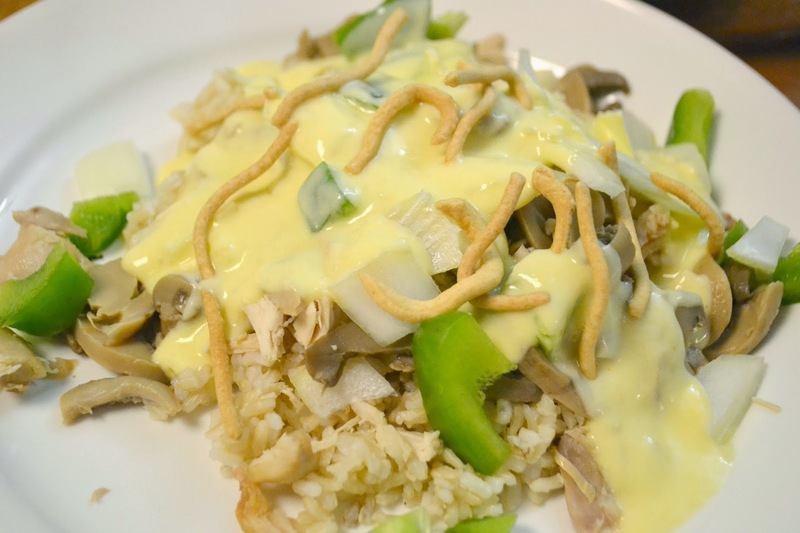 Hawaiian Haystacks, if you are unfamiliar, is a meal where you start with rice as your base, then you add your chicken and your choice of toppings. The entire meal is served buffet style letting everyone custom design their dinner to their own liking. I also love that almost all of this can be prepared before hand. Pulling dinner together is so easy. You can even assign some of the "toppings" to anyone who asks what they can bring! There are several ways to prepare the chicken, and I will give you some suggestions to get you started. The recipe below is for about 8 servings. You can adjust the quantities to meet your needs. In saucepan or crock pot mix together Soup or gravy, and chicken broth. Stir to blend. Add in shredded chicken. In saucepan simmer 8 - 10 minutes till heated through, in crockpot keep on warm till heated through. Lay all ingredients out in serving bowls on buffet table. Let guests build their own dinner.